One session at SXSW gave a peek into the future of how we buy food. “Grocery Wars: The Future of Buying Food” featured Austin food writer Addie Broyles and grocery industry analyst Phil Lembert talking about where the food industry is headed and how we will purchase food in the future. Of interest to local foodies was the assertion that improved packaging will keep food safer and consumers better informed, including where exactly the food came from. Local food options are expected to continue to be part of the grocery store of the future, and the “boring stuff”, all the staples you buy regularly, will likely be bought via a subscription system. If you are a local food producer, the session “Preserving Local Food Artisans by Going Global” would be of special interest to you. This session was presented by Get Gone Traveler founder and CEO, Anna Smith Clark, Edible Austin publisher Marla Camp, Pogue Mahone Pickles of Austin owner/founder Sam Addison; and Confituras, a local jam company, founder Stephanie Mcclenny. This session covered the huge potential for expanding markets for local food producers and how they need to think globally. Get Gone Traveler, a beta site that is an online marketplace that connects food forward travelers to interesting opportunities for good eating that a region’s local food can offer. Via both online marketplaces and tourism, local food producers can introduce their products to the entire world, and I have to say to me I imagined say Way Fruit Farm apple cider being enjoyed in Japan, or Goot Essa cheese on a table in England. 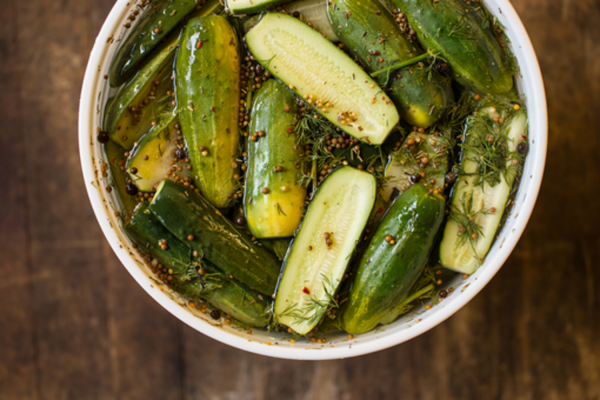 Local food such as Austin’s Pogue Mahone Pickles should be available to all. And the final session I attended that was local-food oriented was “Small Farms Can Feed Lots of People: A How-To”, presented by a panel of farmers, academics, and restaurant owners. This discussion looked at trends such as farmers markets being the fastest-growing way that people buy food, and how to connect these local food trends to global issues such as population growth and climate change. The small farms in the different areas around the world need to increase their role in our food production. Ideas such as increasing marketing and awareness of local farms and new ways to sell local food such as partnerships with grocers and the Internet were offered as potential solutions.